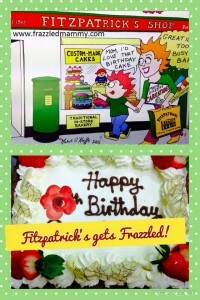 ONLY 3 DAYS LEFT TO #‎WIN‬ in the FRAZZLED MAMMY CARICATURE COMPETITION! The caricature competition I’m running with Fitzpatrick’s Shop has got such a great reaction that we’ve decided to extend the deadline until 5.00pm this Friday April 25th. This entry was posted in Cartoons and tagged Caricature artist, Cork, Ireland, Maeve O'Keeffe on April 21, 2015 by frazzledmammy. Why don’t kids do tedious tasks like cleaning schoolbags? With summer holidays racing by, I’m getting a small bit anxious about organising the back to school gear. Husband got the task to bringing the boys shopping for schoolbags and trousers. Traumatised after a horrific ordeal of Confirmation clothes shopping with our eldest son last year, I let Daddy-O deal with it. They duly returned with the required items only to dump them in the corner of the living room with all the other clutter. 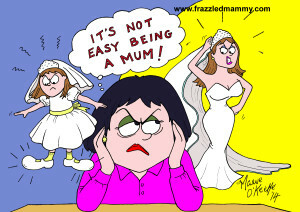 This entry was posted in Cartoons, Parenthood and tagged Cartoonist, Cork, Illustrator, Ireland, Maeve O'Keeffe, Mother, Parent on July 30, 2014 by frazzledmammy. White dress shopping can be every girl’s dream, provided the gown or shoes fit the bill! With only a week to go before finishing Primary school for good, Junior needed photos ranging from babyhood to his present 6th class status. A selection was required by teacher to create a slideshow of each pupil’s development through their school years. As I rooted through boxes desperately seeking baby pictures, I cursed my disorganisation and failure to file the multiple packets of images into ordered, easy-to-view albums. 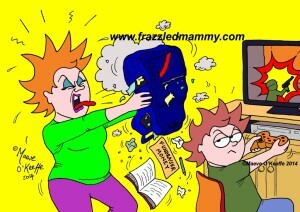 This entry was posted in Cartoons, Parenthood and tagged Cartoonist. 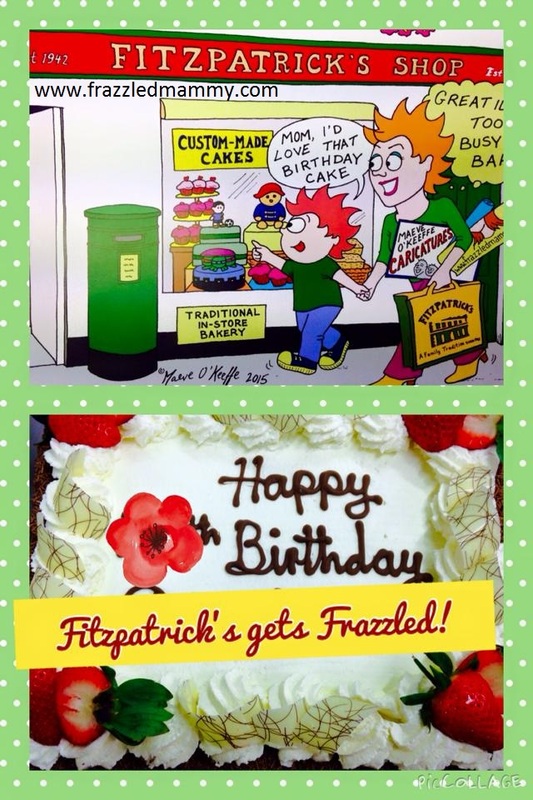 Illustrator, Cork, Ireland, Maeve O'Keeffe on June 13, 2014 by frazzledmammy.